The mirror belongs to our most faithful friends. It looks at us patiently every day, deepening our happy moments and accompanying us in the more difficult ones. A mirror in the bathroom is one of the most intimate objects which knows many of our secrets. 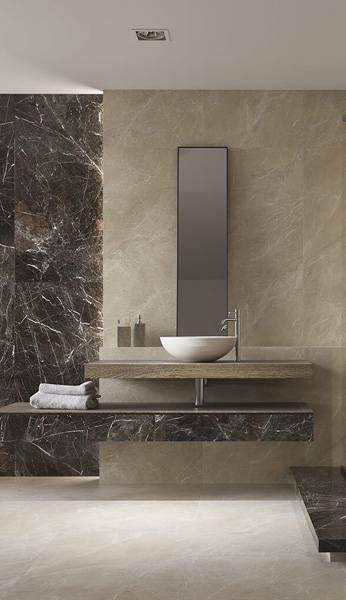 From the arrangement aspect – a mirror is one of the elements strongly affecting the character of the whole bathroom. Its size, shape, colour, frame, the way it is mounted, and the image it reflects act on both our senses and consciousness. Let’s take a look at some of the original ways of using a mirror in the bathroom. The past is enchanted in the real old mirrors. Every scratch on the glass or crystal surface hides a secret, just like every flaw on a wooden, decorated frame. A beautiful, old mirror, preferably derived from family resources, brings a memory of the ancestors who used it. Also, it adds authenticity to the interiors, to which we would like to give a rustic character. The mirror does not necessarily have to be fixed in the bathroom for good. It will serve us equally well if we place it on the floor or on the washbasin stably and support it against the wall. A high mirror based on the wall deliberately disturbs the regularity of the wavy decoration. It also allows you to look at yourself from head to toe. In the subtle, bright bathroom, the mirror can be the strongest accent of the arrangement. The metal “box” frame enhances the impression of three-dimensionality. Round mirrors are very popular, especially in modern bathroom arrangements. The perfect shape, which can be captured in a variety of frames, giving a lot of room for design. An innovative idea is to create deliberate optical illusions using mirrors. The round mirror, enclosed in a tear-shaped frame, enlivens the bathroom arranged in calm colours of white, grey, and natural wood. A few round mirrors are a great idea to make the symmetrical, peaceful space more dynamic. The idea for a mirror in the interior can be based entirely on the use of reflection – anything what can be seen in the mirror, even before our face or silhouette appears in its “field of vision”. The reflected image itself can be attractive enough for a creative interior designer to make the main decoration of it. Both visible elements of the natural world (e.g. mountains, greenery, or the open space as far as the horizon) and typically urban fragments of the landscape may prove to be particularly interesting. A fragment of the urban landscape reflected in the mirror, like a minimalist graphic adorns the clean, bright interior of a modern bathroom with innovatively treated structural elements of decoration. Gluing the mirror into the wall flash with ceramic tiles is one of the most popular and traditional assembly methods. The uniform surface of the wall makes the mirror with its reflection an integral part of the space. The mirror does not play the main role here, it goes down to the background level. If it is large enough, it optically enlarges even a small space. You can use ceramic decorations to optically separate the mirror. The mirror, glued into the plane of the ceramic wall, visually enlarges the space. A deep wall-niche with a large, glued-in mirror, is a great way to highlight the exclusive character of the bathroom. Installing basin faucets in it intensifies this effect. 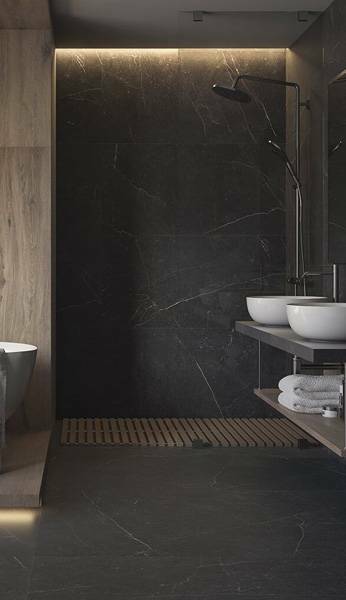 When every square centimetre of the bathroom surface matters, it is worth thinking about using the mirror not only according to its original purpose. The mirror is such a grateful material that we can easily arrange it as fronts of the bathroom cabinets. The mirror fronts of the cabinets cleverly enlarge the space of a small bathroom, at the same time concealing considerable resources of the bathroom accessories and bringing order to the interior. Playing with shape can result in some interesting ideas. 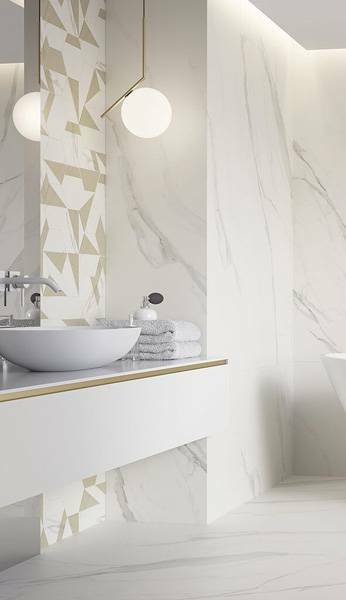 By dividing a rectangular mirror into any part, we make the space of a toned bathroom look more dynamic or refer to and emphasise the geometrical character of the tiles. 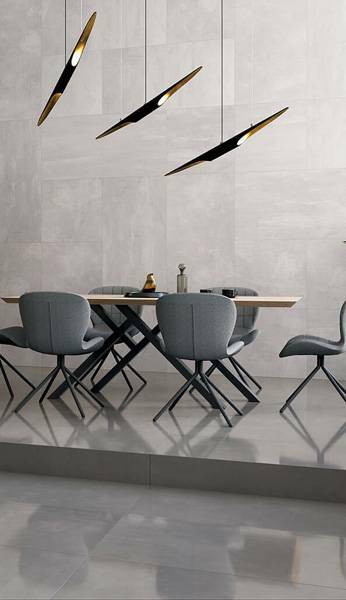 The delicate geometry of the ceramic tiles is contrasted with the strong geometry of the divided, rectangular mirror. A mirror emphasises the character of the bathroom. No element of the mirror form is indifferent in the interior. Everything matters: the colour, shape, size, frame, mounting method, and mirror reflections. The mirror can play the role of an aesthetic dominance in the bathroom – or on the contrary, discreetly “hide” in a richly decorated wall. When choosing a mirror for the bathroom, it is worth making a trial application of it in the design programs, or trying it before assembly. It pays to check whether its form and reflected image fully meet our utility needs and aesthetic expectations. When choosing the method of assembly or arranging the mirror in the bathroom, you need to be sure that it would be safe for its users.